From Mediaite: Moses Farrow, the adopted son of Mia Farrow and Woody Allen, is coming to his father’s defense saying Allen did not molest his sister Dylan. Reports Mediaite, “Moses Farrow, the 36-year-old adopted son of Woody Allen and Mia Farrow, is coming to his father’s defense against accusations from his sister, Dylan Farrow, that the filmmaker sexually molested her when she was seven years old. In anew interview with People magazine, Moses Farrow says, “Of course Woody did not molest my sister.” “My mother drummed it into me to hate my father for tearing apart the family and sexually molesting my sister,” Moses told People. “And I hated him for her for years. I see now that this was a vengeful way to pay him back for falling in love with Soon-Yi,” Farrow’s adopted daughter who is now married to Allen.” You can read the full article here. From Gossip Cop: Does Lady Gaga wish she was Oprah? In the March issue of Harper’s Baazar, Gaga gives a very candid and open interview about her battles with depression and how she would like to be remember in lifetime. Reports Gossip Cop, “Gaga stresses that her career is about far more than becoming rich. “I always think to myself, How do I want to be remembered? I don’t want to be remembered as anything but brave. The only good intention to make money is to help others,” says the songstress. ”I want to be Oprah. I want to be Melinda Gates. If I ever sell products other than my talents, then it will be to give more to others.” “I always think to myself, How do I want to be remembered? I don’t want to be remembered as anything but brave…” Read the full article here. 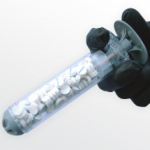 From Geekosystem: A new sponge syringe can seal gunshot wounds in 15 seconds! Reports Geekosystem, “This pocket-sized, sponge-filled syringe may look flimsy, but a team of developers from Oregon company RevMedX say it’s our greatest hope yet for saving civilians and soldiers alike from blood loss. Veteran and co-creator John Steinbaugh has seen first-hand how quickly gunshot wounds can hemorrhage. Blood loss is the leading cause of death in armed conflict, and he describes traditional gauze dressings as insufficient and excruciating. Enter XStat, a syringe filled with coated sponges that RevMedX says will easily stop hemorrhaging and seal a wound in just fifteen seconds.” Read the full article here. 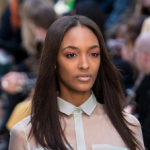 From Styleite: Has there been enough progress in terms of diversity for runway models? Reports Styleite, “Last season, we were disappointed at the astounding lack of diversity at New York Fashion Week, but it appears that progress was still made, and it’s even worth crediting. The Diversity Coalition, led by former model Bethann Hardison has sent a more favorable update to the Council of Fashion Designers of America today based on this past September’s shows. In an e-mail to president Diane von Furstenberg and CEO Steven Kolb, the Diversity Coalition acknowledged the progress that certain fashion houses, such as Calvin Klein, Narciso Rodriguez, and The Row, have made, but cautioned, “The objective is to continue this improvement across the entire industry. We look for consistency and not because of advocacy or a season lending to darker skin. We will continue to watch and reveal season to season.” ” Read the full article here. From SportsGrid: This Winter Olympics this year are the most expensive in history with Russia spending an estimated $51 Billion. So where is all of this money going? Reports SportsGrid, “The upcoming Winter Olympics will be the most expensive games in history. Russia has spentan estimated $51 billion to prepare the coastal city of Sochi for an influx of athletes, media, tourists and, potentially, terrorists. Where’s all that money going, you ask? Well, it’s not to make sure the infrastructure is ready on time, as we’re just days away from the Opening Ceremony and there are still hotels yet to be completed. It also didn’t go towards housing the stray dogs of the region, as Russia found astereotypically Russian way to deal with those. In fact, after taking a video tour of the Sochi Olympic Village dorm rooms, we aren’t sure where any of that money went, except perhaps into the pockets of Russia’s politicians and businessmen.” Read the full article and watch the video of the Olympic village here. From The Mary Sue: Lemony Snicket just founded an award with the American Library Association. 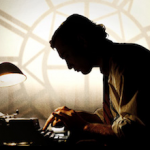 The Mary Sue reports, “There’s crafting your public persona, and then there’s Lemony Snicket, the pen name and alterego of the writer behind the Series of Unfortunate Events books. And then there’s the yearly prize he just founded with the American Library Association, to give librarians who go above and beyond the call their due. And even the official description of the prize abounds with Snicketian prose.” Read more about this award here. From The Jane Dough: The girls of Broad City dish on how to get a web series turned into a television series. Reports The Jane Dough, “But have no fear, the journey can be completed. Ilana Glazer and Abbi Jacobson’s Broad Citysuccessfully made the transition: what was once just a series of silly YouTube vignettes is now one of Comedy Central’s hottest new series. In an interview with Fast Company, the real-life friends explained how they landed the ultimate prize— a friend/partnership with Amy Poehler…oh, and a TV deal. Going viral isn’t necessarily the answer. Broad City the web series never had an overwhelming amount of viewers, they just had the right people watching.” Read the full story here. 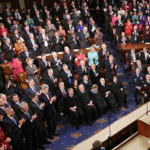 From The Braiser: After three years, the Farm Bill is finally approved by Congress. Reports The Braiser, “Ever since this site launched two years ago, we’ve covered the slow, molasses-like crawl of the Farm Bill’s renewal through Congress. The bill, which would establish the Department of Agriculture’s budget for the next five years, was the subject of intense partisan bickering, particularly over programs such as the Supplemental Nutrition Assistance Program, school lunches, and farm subsidies — and thank the corn lord above, the House and Senate have approved the bill and sent it to President Barack Obama’s desk today.” Read the full story here.